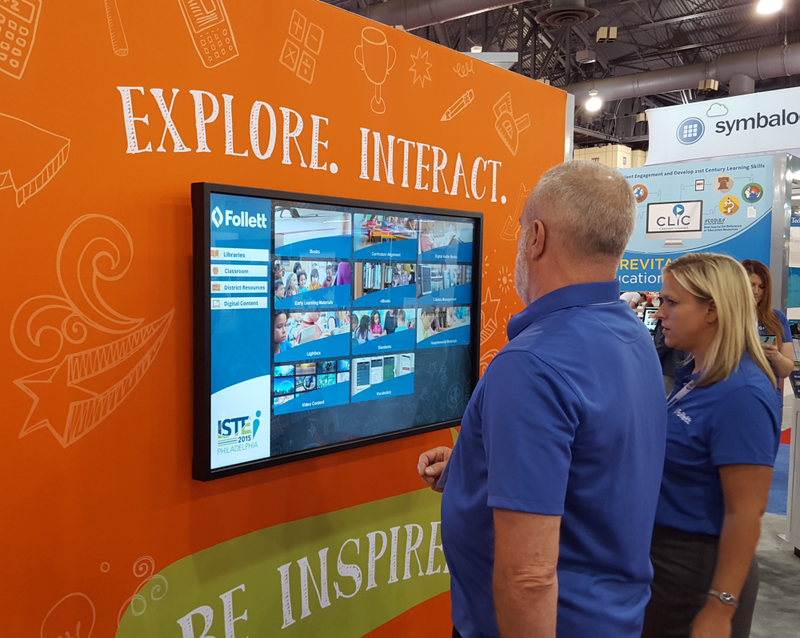 Follett needed an interactive, self-serving kiosk to find information about Follett products/services. At shows attendees typically think of us as an old stingy book company, when in fact we offer products/services for the whole district ecosystem. This kiosk will allow attendees to interact with touch screens on the show floor. We built a platform that allows the Follett Marketing team to create multiple kiosks for different events, highlighting different products/services depending on audience. Each of these kiosks will be saved and served from our Follett Kiosk platform. 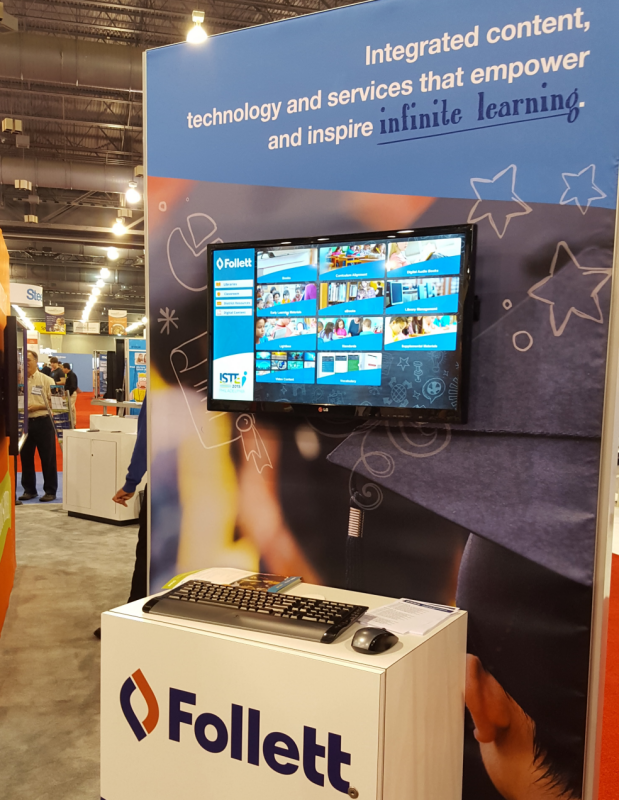 The Kiosk Builder was showcased at the ISTE 2015 booth in Philadelphia, PA. While this was a non-typical project, the resulting information share to Follett customers was very powerful. 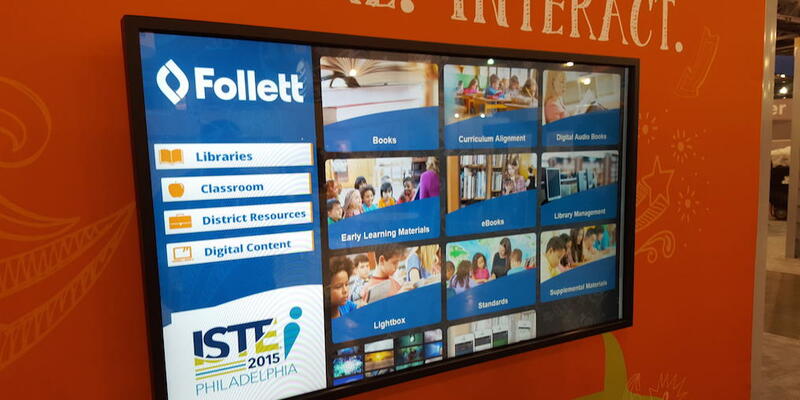 Play around with our actual kiosks created for Follett trade shows.